There are some people who have public service in their blood. These people wouldn’t be happy in any other job- they need to feel like they are spending their days doing something worthwhile. Our military, police, firefighters and other public safety workers not only do a job no one else wants to do, they embrace it. I know because I happen to be married to one of them. JD spent 4 years in the Marine Corps, deployed to Afghanistan, and probably would have re-enlisted if it wasn’t for multiple knee surgeries. 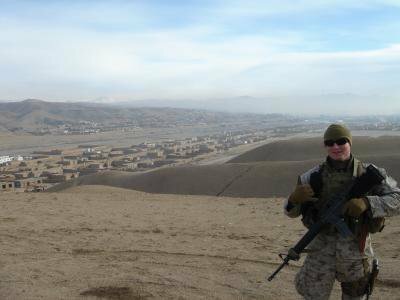 He tried a few things out once he got home, but I knew he wouldn’t be happy until he found a career that fulfilled him the way the Marine Corps did. He’s a great police officer because he’s passionate about the work he does. I know there are so many things he’s seen and done, from Afghanistan to right here at home, that I and the rest of the world will never know about. For this reason, so much of what they do is under appreciated. To everyone out there protecting and serving, thanks for all you do. 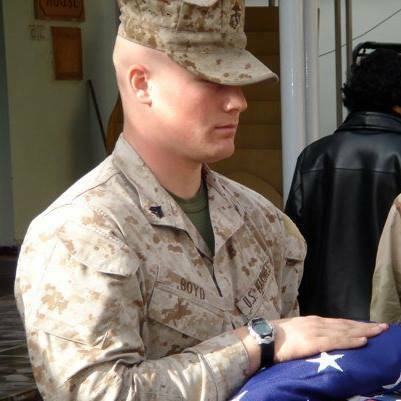 This entry was posted in LEO Life and tagged JD, LEO, LEOW, Marine, Police, Veterans Day. Bookmark the permalink.